There's a lot to be said for longevity when it comes to bands, and Godspeed You! 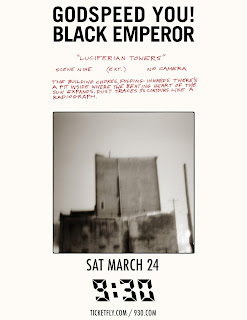 Black Emperor has proven time and time again that they're in the business of making complicated clatter for the long haul. 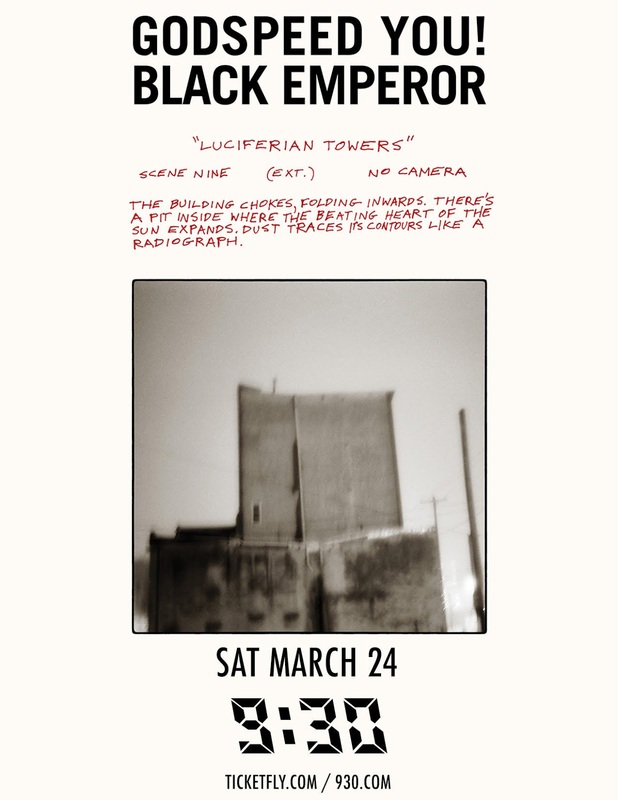 Touring on the back of their most recent record, Luciferian Towers, GYBE comes to DC on 3/24, and you could win a pair of tickets to the show (buy tickets here if you don't fancy your chances). To win the tickets, email me and tell me why you want to see the clamor-making Montreal outfit in all their noisy, experimental post-punk glory. Make it good. FINE PRINT: Contest is for two (2) tickets to this here show. 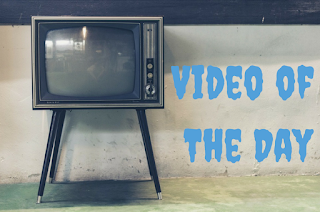 Contest closes at noon Eastern on Thursday, 3/22/18.